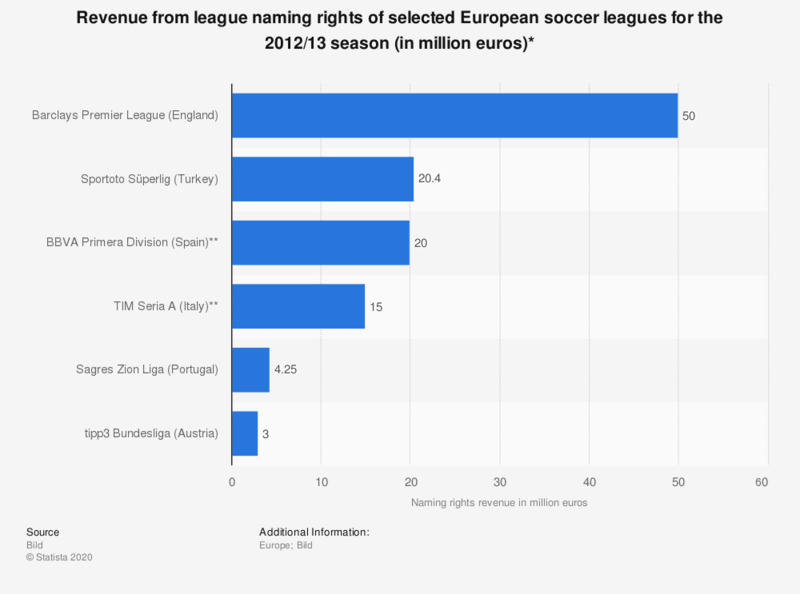 The statistic depicts the value of league naming rights of various European soccer leagues for the 2012/13 season. Barcalys pays around 50 million euros per season for the naming rights to the Barclays Premier Leauge. * Figures based mostly on estimates. ** BBVA - Banco Bilbao Vizcaya Argentaria; TIM - Telecom Italia Mobile.